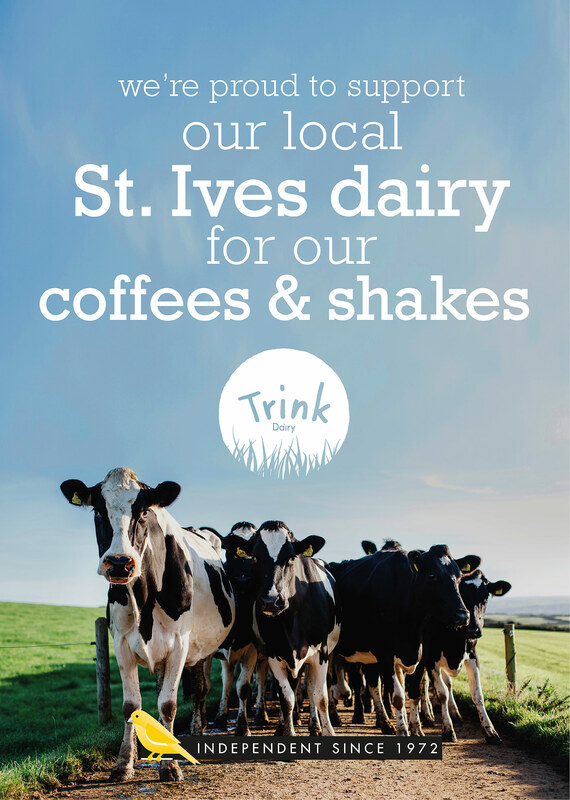 Trink Dairy is a family run dairy farm nestled on the outskirts of St Ives. 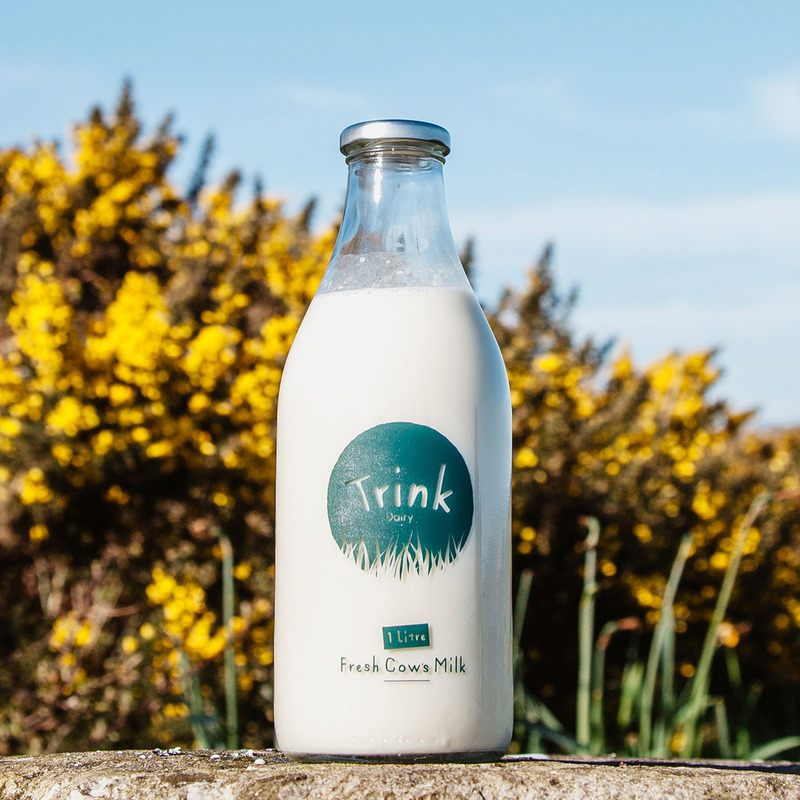 Trink is part of an initiative enabling farms to take back control of their milk production, selling directly to the public a lightly pasteurised and non-homogenised, good old-fashioned pint of milk. 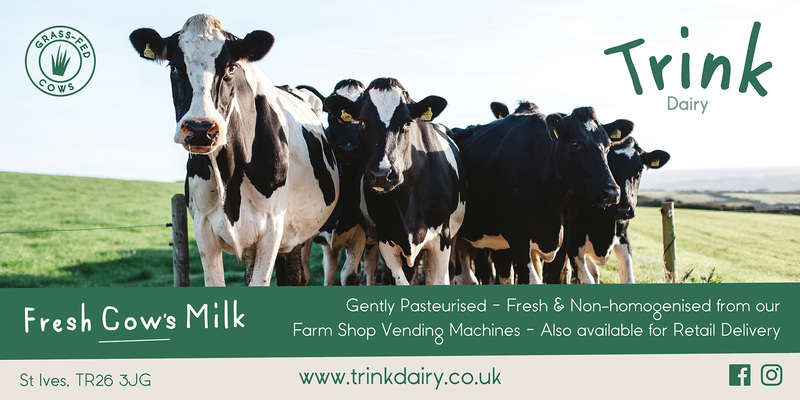 The milk is described as wholesome and full of dairy goodness the way nature intended, with all the butterfat, vitamins, minerals and proteins remaining. 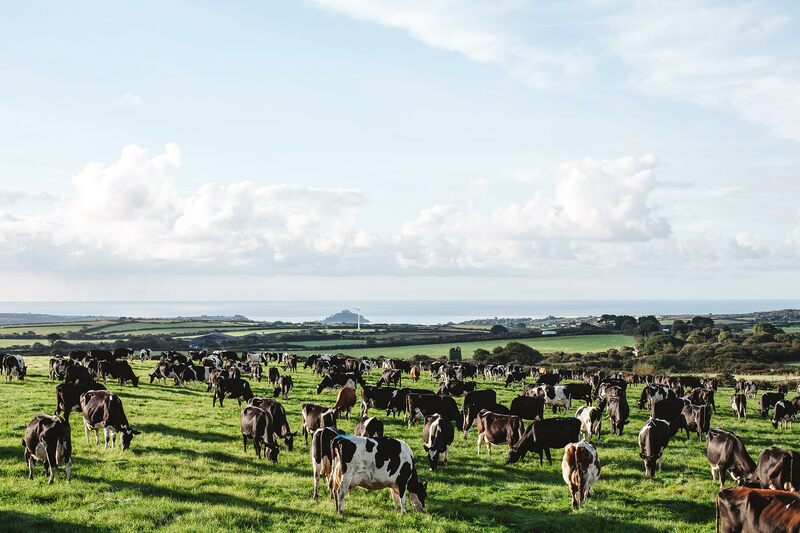 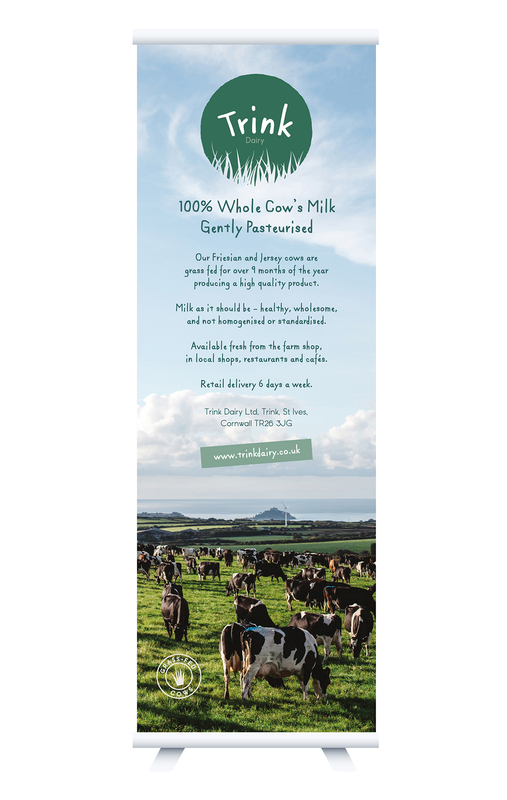 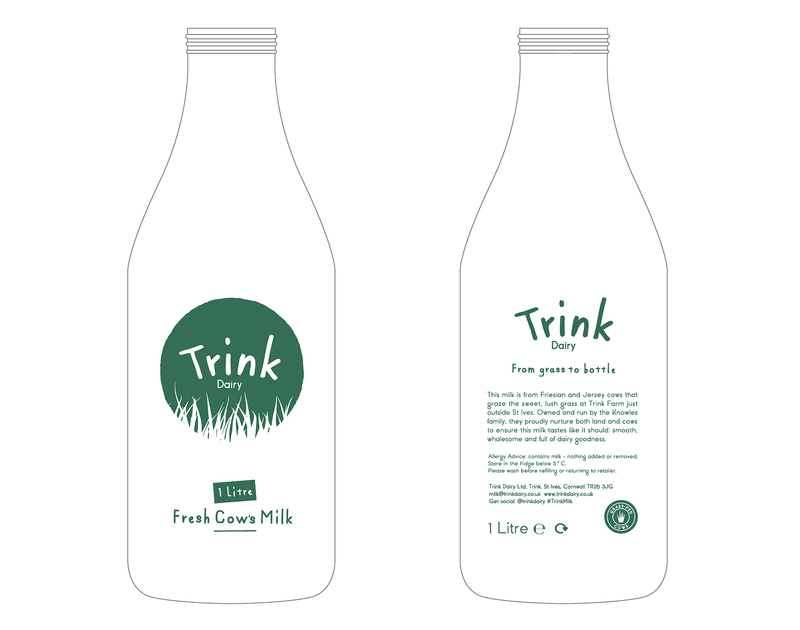 Trink Dairy approached Meor to create a unique brand which reflects their values within the parameters of a traditional Cornish dairy farm. 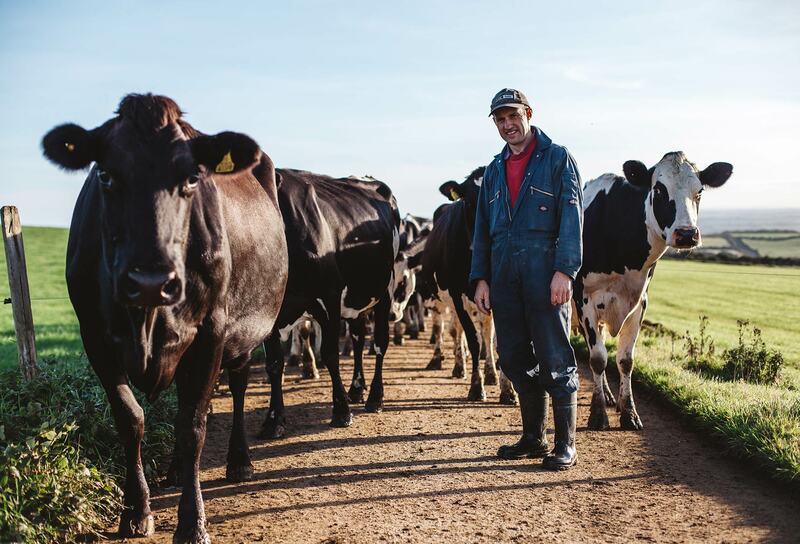 They have embraced technologies that have allowed them to diversify their product and captured the hearts of the local community.